The Federal Transit Administration (FTA) has a critical obligation to provide transportation systems the tools and resources needed to ensure their safe operation, while at the same time ensuring the safety of transit customers, transit employees, and others. Transit safety data suggest that the number of incidents and fatality rates for public transit systems are rising. In addition, high profile transit accidents, such as the collision between two Washington Metropolitan Area Transit Authority (WMATA) trains in June 2009, continue to raise the issue of transit safety. Public transportation systems across the country need to have information and assistance available to them to establish, operate, and maintain safe transportation systems. These considerations and the recognized need for advancing transit safety across all transit modes, resulted in new safety regulatory authority provided in MAP-21 (Moving Ahead for Progress in the 21st Century). MAP-21 includes the creation of a national safety plan for all modes of transportation, the establishment of minimum safety performance standards, and a safety certification program. At the local level, transit agencies will be required to establish comprehensive safety plans. For the nation’s transit systems, there will be a critical need for technical assistance, tools, and training resources to assist them in meeting these new requirements. The National Center for Transit Research (a Tier 1 Transit focused University Transportation Center) will establish a National Transit Safety Research and Assistance Center. The Center will employ a number of methods to successfully provide resources to public transportation providers, local and state governments, the private sector, and other transit stakeholders to improve public transportation safety in the United States. This Center will be a resource for public transportation agencies from the smallest to the largest, in operating environments from the most rural to those operating in our nation’s largest cities. The focus areas will include, but not be limited to operational and vehicle related safety topics, human factors, and substance abuse management. Technical assistance and training aspects will be structured to provide ample support to transit agencies that are improving or modifying their safety programs to comply with the transit safety regulations included in MAP-21. The segment that follows provides a brief discussion of proposed core program components and the relevant experience of the project team within each component. The Center is envisioned to have four core program components, including 1) National Transit Safety Clearinghouse – including a research document repository, website, training products, archived webinars, and other resources as identified; 2) Training – including curriculum and training media product development (i.e., computer based training (CBT) module development, training videos, webinars), dissemination and delivery; 3) Research and Documentation of Model Practices – including research conducted at the direction of RITA/FTA, technical reports and white papers, lessons learned and best practices observed through technical assistance efforts and identified through other venues; and 4) Technical Assistance and Support – including the establishment of a Peer-to-Peer Network and utilization of subject matter experts. NCTR is well positioned to house a National Transit Safety Research and Assistance Center and demonstrate this through extensive experience in the core program components, as reflected below. The Clearinghouse will contain up-to-date press clippings, technical reports, system evaluations, PowerPoint presentations, and other documents related to transit safety. The Clearinghouse will also serve as a research document repository maintaining relevant transit safety research documents. This information will be made available on a newly developed website. The National Transit Safety Research and Assistance Center website will use the latest in website development technology to increase search engine visibility and leverage engagement with the industry. The website will include an expanded listserv that will offer a method for public transportation community members and researchers to exchange ideas network and synergize information. The identification and progress in the development of training products will be based up the needs of the transit industry. Through the Center’s technical assistance and research efforts, and input from the transit industry and FTA, training focus areas will be developed and training curriculum will be developed that corresponds with these areas. Training products will be developed harmonizing subject matter experts and curriculum design experts. Utilizing the latest in educational technologies including a comprehensive learning management system (LMS) platform, training may include, but not be limited to, interactive computer-based training (CBT) modules, training videos, and web based training (WBT). The Center will closely coordinate with the Transportation Safety Institute and National Transit Institute to avoid any duplication in training products and programs. In August 2010, at a Transit Research Analysis Committee (TRAC) meeting in Washington, DC, Michael Flanigon, former Director of FTA’s Office of Safety and Security provided a summary of transit safety related issues for both rail and bus. In his closing statement he issued a request for “actionable safety research” from case studies, demonstrations, safety information systems, data mining, and safety technology development and transfer. The National Transit Safety Research and Assistance Center will conduct new research in areas related to transit safety, including topics such as operational and vehicle safety, human factors, and substance abuse management, and will develop “model practices” manuals and tools that assist public transportation community members. Topic areas for further research may come from FTA, through TRB committees, from APTA or the Community Transportation Association of America (CTAA), or directly from the public transportation community. The prioritization of research efforts will be made in consultation with FTA. It is important that research results to be disseminated to the industry in an effective manner. To this end, the Center will utilize the power of technology to host broadcast, interactive webinars to present research results, final recommendations and model programs. These webinars will foster engagement with the transportation community while disseminating important information in a convenient, easy to use and efficient delivery method. The research reports, along with links to webinar recordings will be posted to the NTSRC Clearinghouse website to use as resource materials and contribute to the synergistic outreach efforts of the program. A National Transit Safety Peer-2-Peer (P2P) program will be established to provide free, short-term technical assistance to public transportation systems. It is anticipated that Peer-2-Peer experts will be designated based on geography and specific technical expertise. The Transit Safety P2P program will operate in a similar fashion as the National Bus Rapid Transit Institute BRT Peer-2-Peer program sponsored by the Federal Transit Administration. Recruitment and selection of P2P experts will be conducted in a variety of ways. Most peer experts are expected to be recommended to the program by FTA staff, APTA resources, and from website requests from individuals requesting to be considered as a peer expert. The NTSRC will develop a process to guide the selection of P2P experts. This process will be based on the individual’s expertise, and the relevance/applicability of that expertise to the P2P program needs. Other factors to be considered will include the geographical distribution of peer experts, and the social/ presentation skills of the candidate (based on a phone interview and recommendations). The Center’s staff will screen these requests and make recommendations to the FTA manager for approval/selection of peer experts for the program. 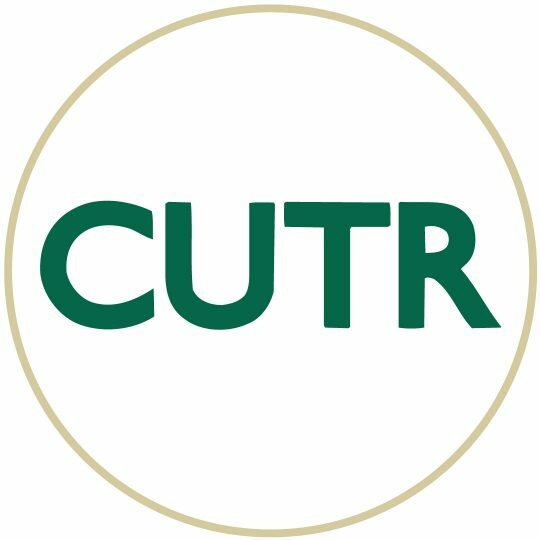 Technical assistance will also be provided by CUTR and CUTR affiliated researchers and professionals. The implementation of the National Transit Safety and Assistance Center will be phased. The development of the Clearinghouse and associated functions, including website development and populating will occur in Phase 1. While the website and other Clearinghouse functions, including monitoring, updating, and populating activities, will be ongoing activities conducted during the life of the Center, the initial development and information integration will be completed on or before March 31, 2013. The Training and Research functions will occur in Phase 2 and will begin immediately (within budgetary constraints) and will continue throughout the project. Technical Assistance and Support, including the Peer-2-Peer network being established and implemented during Phase 3, as directed and budgeted.